Penelope has always embraced travel, adventure, and yes business too and founded Legendary Race Series to combine these loves! Penelope grew up mainly in the U.S. with British parents. After graduating from William Smith College, she backpacked across Southeast Asia, and then joined the U.S. Peace Corps where she spent two years working with farmers in Senegal. After getting a Masters degree from Stanford University, Penelope worked in derivatives in NYC, and then started and ran a successful medical equipment company, which she later sold. She then stayed home for a few years to raise her children. A runner, competitive swimmer, trail and general nature lover, she discovered ultras a number of years ago and fell in love with the supportive community, the excuse to travel, and new challenges. After competing in several multi-stage races, she made the decision to bring this type of race to some of the most beautiful areas with cultural and historical significance across the globe. She also decided to work hard to bring more women into this supportive community of ultra running and made it a focus of Legendary Race Series. Cloud City Multi-Stage is the first race in what will be a series of extremely challenging but enormously rewarding and supportive running and mountain biking stage races around the world. 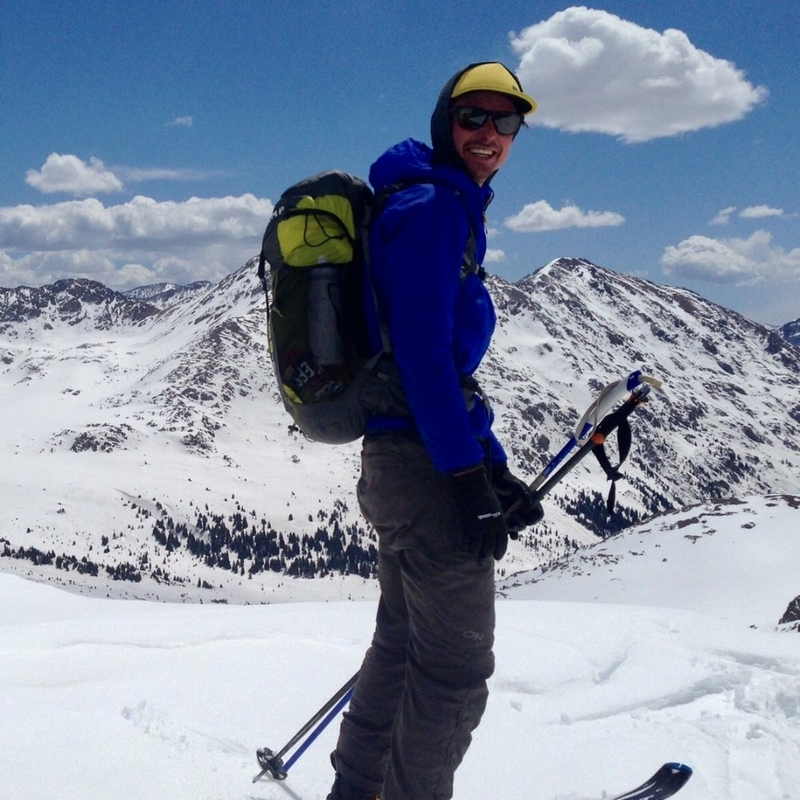 Dave moved to Leadville 6 years ago to work for the High Mountain Institute as an outdoor educator. He filled a number of roles for the school before moving on to work as a builder for Downstream Construction. The common thread through his time in Leadville has been a love for the Sawatch Range and a desire to explore the area on foot, bike and ski, whenever possible. For the past several years, Dave has helped organize the Father Dyer Postal Route Ski-Mo race in town. He also serves on the Board of the Cloud City Wheelers, the local cycling advocacy group. He looks forward to helping to put on the Cloud City Stage Race to help showcase the amazing community of Leadville and the wild places that surround it! Zandy Mangold is a New York City-based photographer and ultra-runner. He is happy shooting everything from celebrities, to culinary trends, to ultra and adventure athletes and races around the world. Zandy has extensive experience shooting ultra races in all sorts of extreme conditions, catching the highs and lows of racing! Because Zandy also happens to be an ultra runner himself, he can be found zooming around the course to get those perfect shots! Zandy even claims several ultra-racing podiums himself, including a victory at the 2017 Atacama Crossing. We are so happy to have Zandy as part of Cloud City Multi-Stage and as soon as you meet him and see his work, you will be too! You can follow his adventures on instagram @run_n_shoot. Justin is a talented jack-of-man- trades! As an avid backcountry runner, Justin knows the trails around Leadville like the back of his hand. Justin has mapped out a stunning course through the high Rocky Mountains for the Cloud City Multi-Stage. But wait, that’s not all! He is also the guy who took almost all of the photos of the Cloud City Multi-Stage race course and surrounding Leadville mountain area showcased on our website. Justin Talbot grew up in the quiet northeast corner of Connecticut and now he lives in Leadville, the quiet center of Colorado. His for love for connecting people with wild places has lead him to a career at the High Mountain Institute and to photographing his friends and family playing in their backyard. In his off time, he can be found running through rarely visited areas of the Leadville highcountry. Check out more of his Leadville adventure photos on instagram @justintalbot. Lisa is an icon in the ultra world! Stories about Lisa’s athletic achievements have appeared on the covers of The NY Times, The LA Times, The Washington Post and Winning Magazine. Additionally, she has appeared in Runner’s World, Sports Illustrated for Women, ESPN Magazine, Outside Magazine, Ultrarunning, Trail Runner, Running Times and numerous other national and international publications. Lisa was the first American female to win the Marathon des Sables, a 150 mile stage-race through the Sahara desert. Additionally, she has twice won the Badwater Ultramarathon (135 miles through Death Valley). Lisa is the only person to run from Las Vegas, NV to the summit of Mt. Whitney, covering 306 miles and was the first female to complete the “Badwater Quad,” covering 584 miles! Television coverage on Lisa includes segments on ESPN, Discovery Channel, ABC’s Wide World of Sports, NBC’s Nightly News with Tom Brokaw and Good Morning America. In 2010 Lisa was featured on CNN and on newscasts in 47 states. She was a main character in a feature length film on the Badwater Ultramarathon, entitled Running Under the Sun. She has also appeared in two Outdoor Life Network specials on the Marathon des Sables. Lisa has done product testing for The North Face, an outdoor equipment and clothing company, and has appeared in their product catalogs and a national advertising campaign with Dean Karnazes. Lisa has had great success in coaching athletes from couch to ultra, from mid-pack to podium, and everything in between. Lisa is partnering with us to provide coaching specific to the Cloud City Multi-Stage, provide help and information on the FB page “Legendary Races/Cloud City Multi-Stage Preparation Group” so be sure to join that, and is involved with the race in several other ways! Contact Lisa directly for information on pricing for her coaching and find out how she can help you achieve your goals. lisa@dreamchaserevents.com.